With the new documentary Tyson getting rave reviews, a biopic on the infamous boxer Mike Tyson could be in the works. Although I can't help but remember that it's already been done. Actually, it's the movie that made me first fall in love with Michael Jai White. Anyhoo, while the quite possible new biopic is waiting in the wings, Jamie Foxx is putting his hat in the ring to play Mike Tyson. "I think I would have to play Mike Tyson. I've talked to Mike several times and his story is the most tragic American story," the singer told WENN this week. "Mike's story is about what America and the world is about today...Coming up at 18-years-old and getting his $60 million and not teaching him what taxes are about, about vultures, about people who will never be real with you as long as you have the money." With this goal in mind, Foxx has already started making moves. "I'm working on securing the rights to the movie," he added. Aside from the aforementioned film Ray, Foxx has also played Stanley "Tookie" Williams, Curtis Taylor Jr. and is currently playing the role of Nathaniel Ayers in The Soloist. 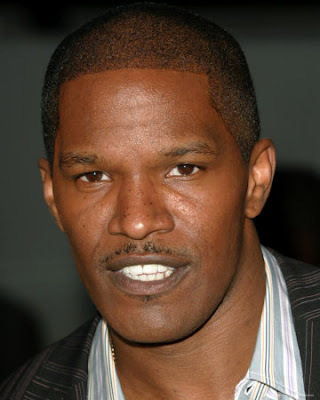 2010 will see Foxx alongside Regina Hall and Gerard Butler in Law Abiding Citizen.